Join us at Crannagael House for a Murder Mystery dining experience in the heart of the orchards and help solve the mystery in this humorous interactive evening. Join us at Crannagael House for a Murder Mystery dining experience in the heart of the orchards. 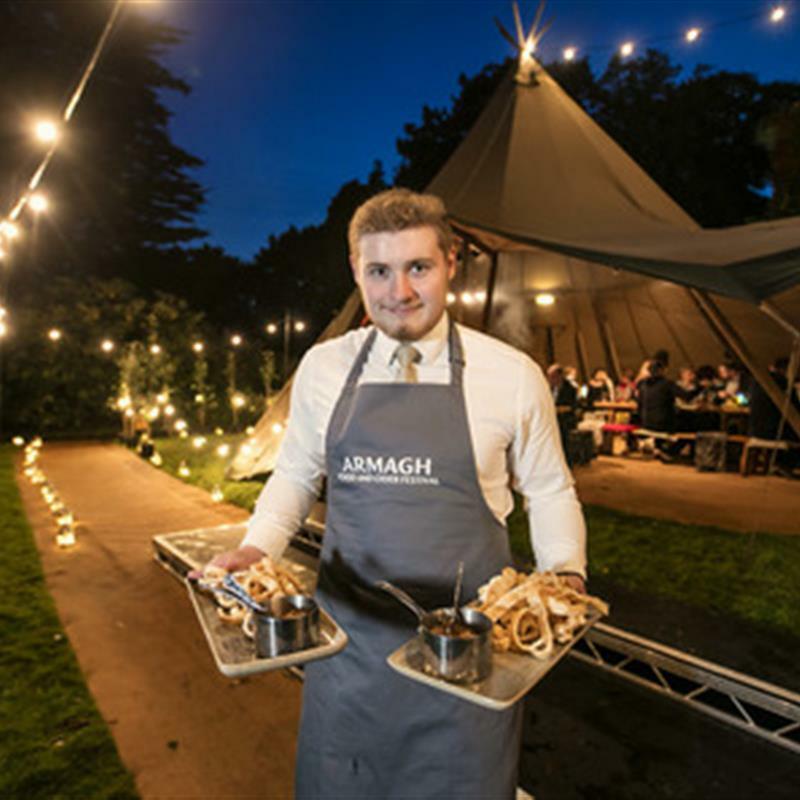 4 courses of exquisitely-crafted dishes that embody native, local and fresh produce accompanied by Armagh artisan ciders will be prepared by award winning chef, Gareth Reid of 4 Vicarsâ€™ Restaurant. Dining in luxury tepees, alongside an open apple wood fire and surrounded by the spectacular natural environment as you enjoy your meal and help solve the mystery in this humorous interactive evening of food, drink, and entertainment . Tel 02837529600 ext 3435 transport subject to availability last date for booking Monday 17th September.